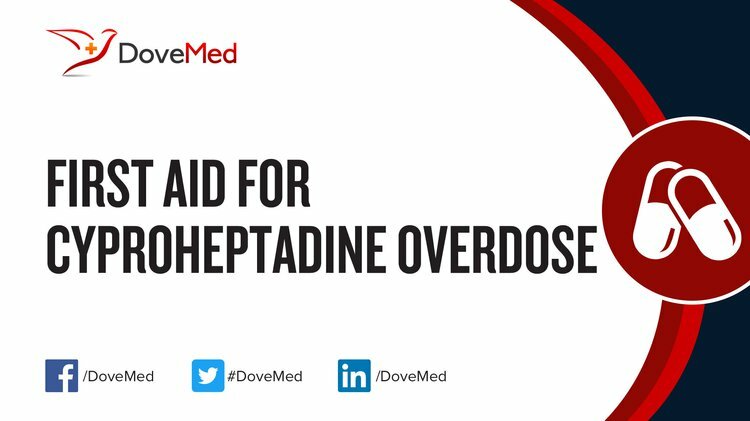 Cyproheptadine Overdose is the accidental or intentional intake of the drug in dosage higher than prescribed values. What are the Causes of Cyproheptadine Overdose? What are the Signs and Symptoms of Cyproheptadine Overdose? The signs and symptoms of Cyproheptadine Overdose can vary from one individual to another. It may be mild in some and severe in others. Several systems of the body, such as the urinary system, nervous system, vascular system, and ENT may be affected. How is First Aid administered for Cyproheptadine Overdose? Who should administer First Aid for Cyproheptadine Overdose? First aid for Cyproheptadine Overdose is administered by healthcare professionals. What is the Prognosis of Cyproheptadine Overdose? How can Cyproheptadine Overdose be Prevented? Rodriguez, L., Diaz, J., & Nurko, S. (2013). Safety and efficacy of cyproheptadine for treating dyspeptic symptoms in children. The Journal of pediatrics, 163(1), 261-267. Chu, F. K. C. (2011). Review of the epidemiology and characteristics of intentional cyproheptadine overdose in Hong Kong. Clinical toxicology, 49(7), 681-683. Muzyk, A. J., Jakel, R. J., & Preud’homme, X. (2010). Serotonin syndrome after a massive overdose of controlled-release paroxetine. Psychosomatics, 51(5), 437-442. Grenha, J., Garrido, A., Brito, H., Oliveira, M. J., & Santos, F. (2013). Serotonin syndrome after sertraline overdose in a child: a case report. Case reports in pediatrics, 2013. Kraai, E. P., & Seifert, S. A. (2015). Citalopram overdose: a fatal case. Journal of Medical Toxicology, 11(2), 232-236. Akingbola, O. A., & Singh, D. (2012). Dexmedetomidine to treat lisdexamfetamine overdose and serotonin toxidrome in a 6-year-old girl. American Journal of Critical Care, 21(6), 456-459. Supariwala, A., Kant, G., & Jean, R. E. (2011). Neuroleptic malignant syndrome with metoclopramide overdose coexisting with Clostridium difficile diarrhea. Intensive care medicine, 37(10), 1706-1708.